To be honest, it had been like seven years since I’d ridden it and I was worried I wouldn’t notice any of the changes, and for a while, I really didn’t… until we got close to the very end and they totally redid that final “upramp”. I totally ‘dorked out’ during this because I thought the new stuff was wildly entertaining and made an already great ride even better. 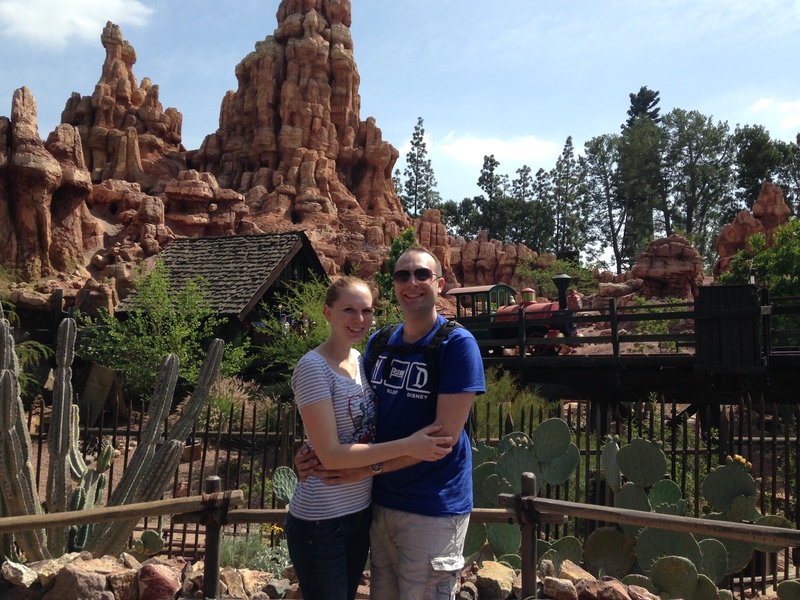 Tom and Leslie enjoying a picture in front of Big Thunder Mountain, just as a train screams by. What did YOU think of the refurb?